Vatnajökull, often called the Vatna Glacier, is one of the largest glaciers in Europe, and also covers over 8 percent of Iceland. Part of the Vatnajökull National Park, this glacier is both a natural wonder and a beauty to behold. 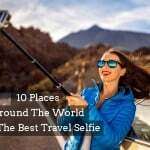 There are several volcanoes underlying the ice cap and the Guinness World Records states that Vatnajökull is the “object of the world’s longest sight line”. 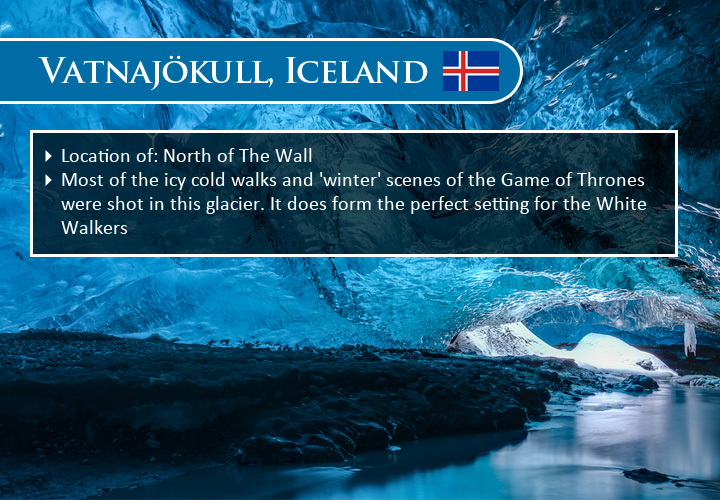 Most of the icy-cold walks and ‘winter’ scenes of the Game of Thrones were shot in this glacier. It does form the perfect setting for the White Walkers. 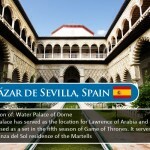 The Alcázar de Sevilla is one of the most beautiful palaces in Spain. Constructed on the Andalusian plains, it was built by the Moorish Muslim kings and is still home to the royal family. The Alcázar de Sevilla is a UNESCO World Heritage Site and is an outstanding example of ‘mudejar‘ architecture. The palace has served as the location for Lawrence of Arabia and was also used as a set in the fifth season of Game of Thrones. 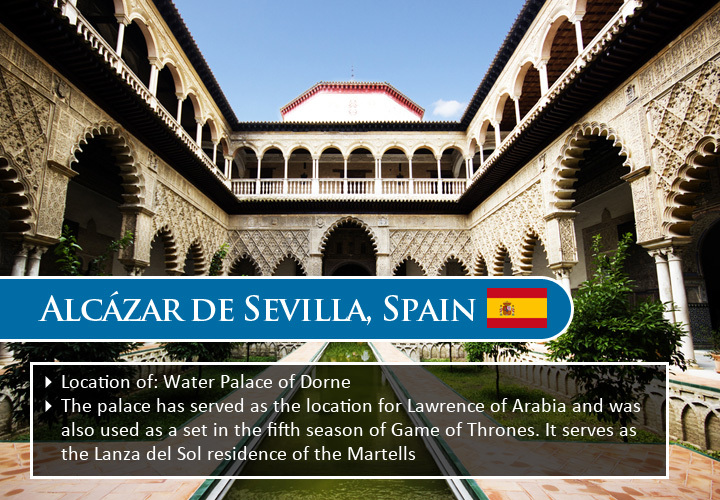 It serves as the Lanza del Sol residence of the Martells. 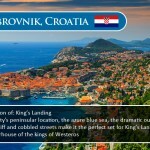 The need to film an ancient city by the sea took Game of Thrones’ producers to Dubrovnik in Croatia. Despite being one of the country’s most popular tourist attractions, this 16th century city facing the Mediterranean Sea retains its ancient stone fortification and old-world charm. The Minceta Tower and fortification of the city have helped it gain a spot in the UNESCO World Heritage site list. 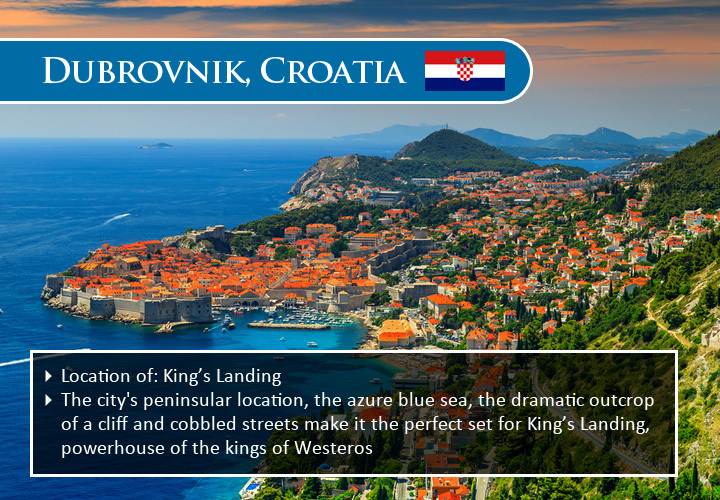 The city’s peninsular location, the azure blue sea, the dramatic outcrop of a cliff and cobbled streets make it the perfect set for King’s Landing, powerhouse of the kings of Westeros. 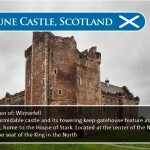 The Doune Castle in Stirling District of Scotland is possibly one of the most easily recognizable real-life locations where the Game of Thrones was filmed. This thirteenth century castle was partially damaged and rebuilt by Robert Stewart, Duke of Albany in the fourteenth century. 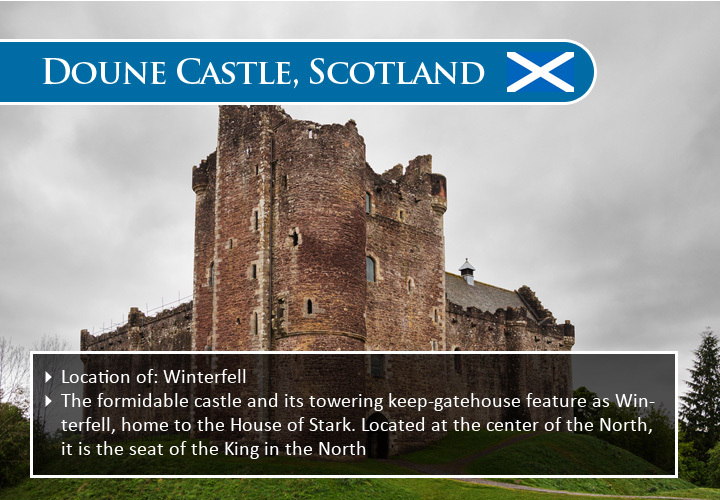 The formidable castle and its towering keep-gatehouse feature as Winterfell, home to the House of Stark. 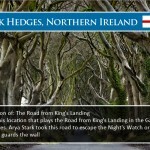 Located at the center of the North, it is the seat of the King in the North. The Doune Castle was also the set for MGM’s historical flick Ivanhoe (1952) and its 1996 BBC adaptation. The ksar (fortified city) of Aït Benhaddou is another UNESCO World Heritage Site that you may recognize from the Game of Thrones. This dreamy township is now almost abandoned, but makes for a majestic golden view with its clay fortifications and towering earthen architecture. 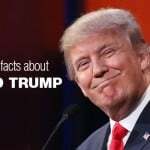 The city is made up on over 6 major forts and 50 smaller fortifications. 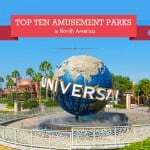 It has been a great favorite with film and television producers. Jesus of Nazareth (1977), Marco Polo (1982), The Last Temptation of Christ (1988), The Mummy (1999), Gladiator (2000), and Prince of Persia (2010) are among the several films shot here. 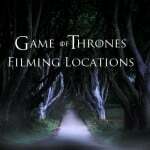 In the Game of Thrones, the city plays Yunkai, the smallest of the cities in Slaver’s Bay. 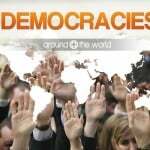 Parts of the city have also been shot as Pentos, the largest of the Free Cities. Illyrio’s mansion, where Daenerys and Viserys meet Khal Drogo for the first time, looks like it has jumped straight out of a picture book. 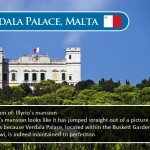 That is because Verdala Palace, located within the Buskett Gardens of Siġġiewi, is indeed maintained to perfection. 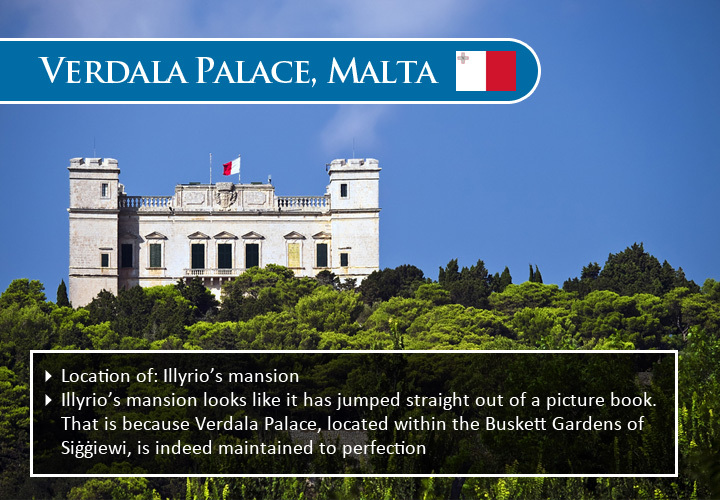 It is the official summer residence of the President of Malta and is usually closed to public. Initially built in the 1500s, the palace was renovated and redone in parts in the 17th and 28th centuries. 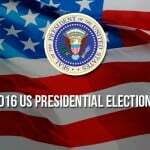 Over the years, it has also hosted many visiting heads of state. 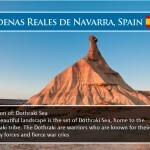 One of the most beautiful landforms that you are likely to see in the southern part of Navarre is the rugged ridge of Bardenas Reales that is made by erosion of the soil. 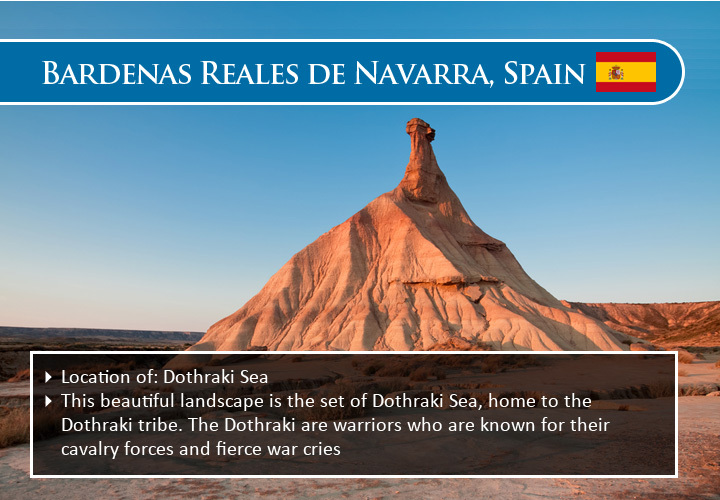 The Bardenas Reales is a semi-desert with chalk, clay, and sandstone soil that have weathered the wind and water for many centuries. In the Game of Thrones, this beautiful landscape is the set of Dothraki Sea, home to the Dothraki tribe. The Dothraki are warriors who are known for their cavalry forces and fierce war cries. This avenue of Beech trees along the Bregagh Road is what Huffington Post calls “The Most Mystifyingly Cool Road Ever”. These trees were planted in the eighteenth century by the Stuart’s on the approach to their mansion, the Gracehill House. 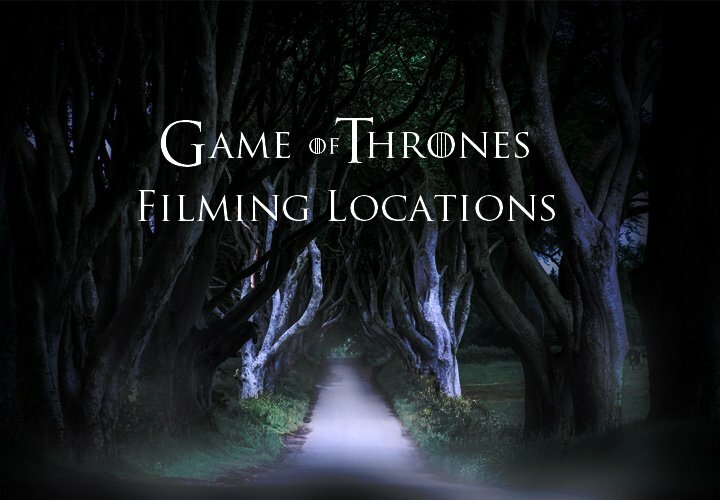 This avenue is completely shielded from sunlight by the trees and is the location which plays the Road from King’s Landing in the Game of Thrones. 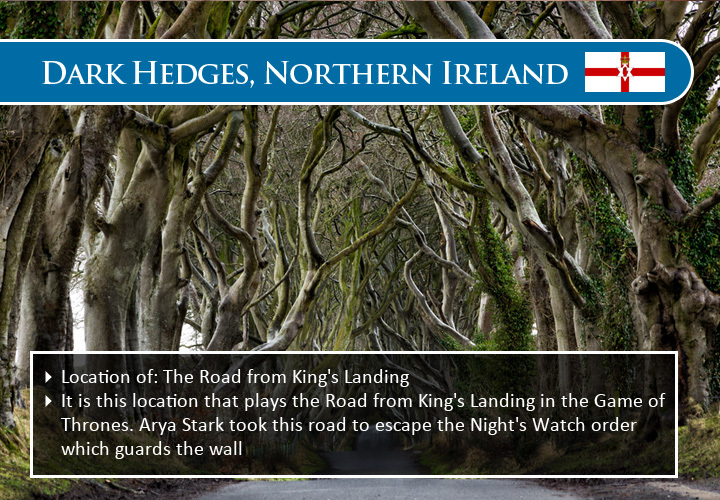 It is this road that Arya Stark (daughter of Lord Eddard Stark) takes to escape the Night’s Watch order which guards the wall. 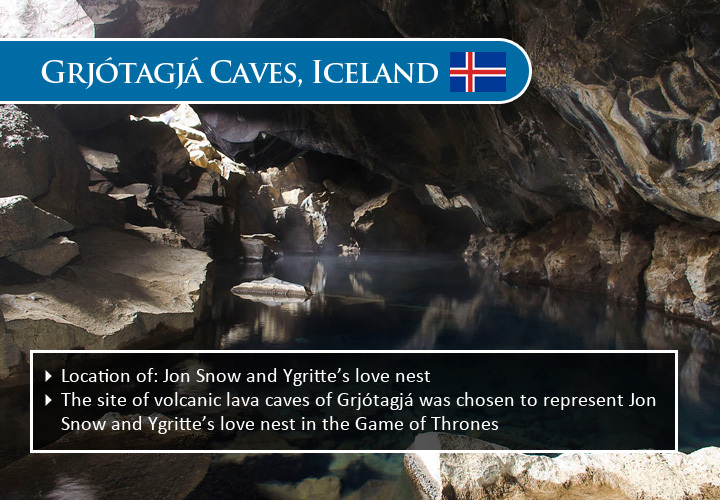 One of the most beautiful natural attractions that you may want to visit in Iceland is the volcanic lava caves of Grjótagjá. These rocky caves and the pools of hot water from the thermal spring in the cave made it a favorite public bath until the 1970s. Eventually, further volcanic eruptions made the pool water too hot for a bath but the beauty of the cave remained unabated. 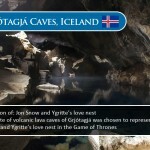 It is no wonder, then, that the site was chosen to represent Jon Snow and Ygritte’s love nest in the Game of Thrones. 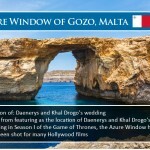 The Azure Window is a geological wonder, a huge limestone rock formation located in the Island of Gozo in Malta. The 328-feet-high natural arch sits atop the Inland Sea and is a favorite with scuba divers who jump off the Azure Window into the sparkling waters below. The arch’s proximity to Dwejra makes it a popular tourist destination. 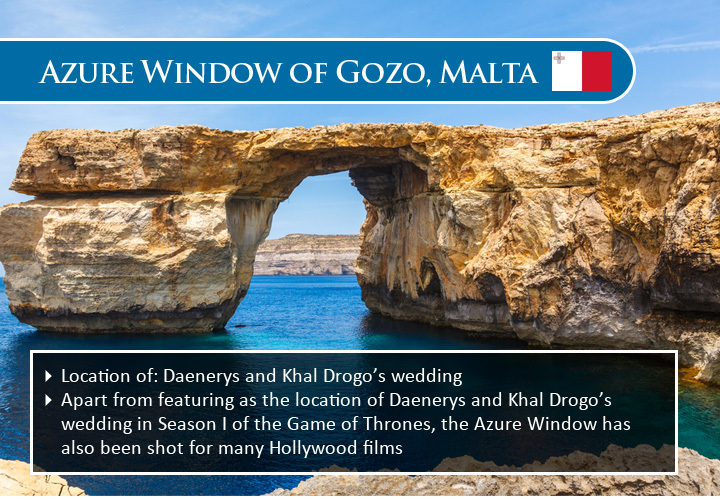 Apart from featuring as the location of Daenerys and Khal Drogo’s wedding in Season I of the Game of Thrones, the Azure Window has also been shot for some films including Clash of the Titans (1981) and The Count of Monte Cristo (2002). An Indian. 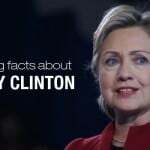 Born a princess, now a storyteller. A gypsy at heart, rebel by nature, TamBrahm by nurture. Quintessential wine woman. An empath. 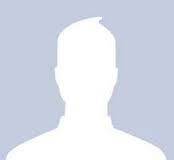 A fauji biwi.